Matchroom Sport are delighted to announce the World Cup of Gymnastics will come to The O2, London on Saturday, April 8, 2017, live on Sky Sports, in an exciting new partnership with British Gymnastics. The event will take place at The O2 on Saturday, April 8, 2017, with the women’s competition taking place in the afternoon and the men’s in the evening session and will be broadcast by Sky Sports throughout. 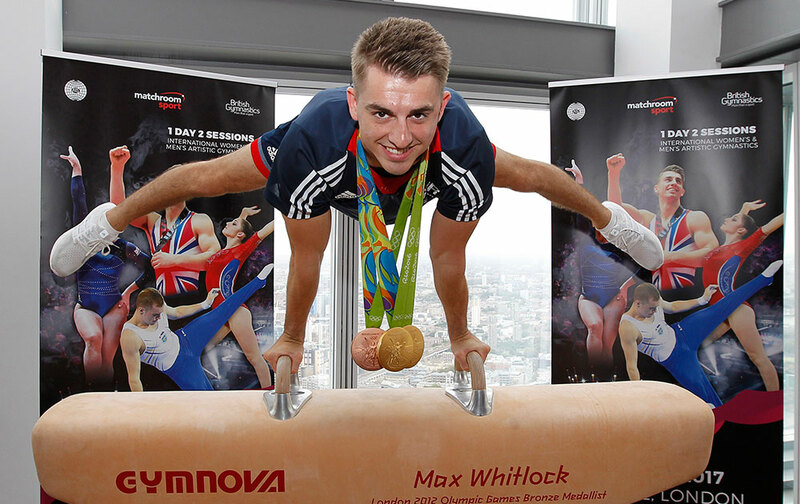 The World Cup of Gymnastics was launched by Hearn, with British Gymnastics CEO Jane Allen and Team GB Olympians Max Whitlock, Nile Wilson, Amy Tinkler and Bryony Page at a press conference at The View From The Shard, London today. Bryony, who took trampoline silver, has been invited to perform during the World Cup of Gymnastics to showcase her incredible skills. Tickets go on pre-sale on Tuesday, September 27 at 9am to British Gymnastics members and fans at www.worldcupofgymnastics.com, with the O2 Priority pre-sale commencing at midday on Wednesday, September 28 at www.theO2.co.uk. A further pre-sale via The O2 will take place on Thursday, September 29. Tickets will go on general sale at midday on Friday, September 30. Prices start from £30 per session, with family tickets for the whole day available from £99. Platinum VIP packages are available from £200 per person per session. For more information, please visit www.worldcupofgymnastics.com. The World Cup of Gymnastics in London forms part of the 2017 International Gymnastics Federation (FIG) individual all-around World Cup Series that begins in America, then travels to Stuttgart and finishes in London. Medals are handed out at each competition with gymnasts also picking up ranking points across the three events to crown the eventual World Cup series champion.